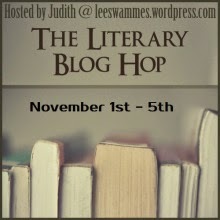 It's time once again for the Literary Blog Hop, a thrice-yearly event sponsored by Leeswammes in which bloggers from all over the world who love all-things-literary visit other bloggers and offer lovely prizes. It will be held from midnight on Saturday, November 1st, 2014 to 11:59 pm on Wednesday, November 5th, 2014. A $15 gift card to Book Depository, open worldwide!!! (1) You must follow me. (b) tells the literary book you'd most like to win from Book Depository, and (c) includes an e-mail address (posted in an elusive way to thwart the wicked). I will leave this giveaway open until 11:59 pm on Wednesday, November 5th, 2014. For more fun, visit all the wonderful literary blog hoppers! I'm a lucky girl. In 2010, in what must have been a heavenly intervention, I was able to leave my ordinary life, fly across the big ocean, and spend two weeks in amazing France. I still can't quite believe it happened. And I will never forget that trip. And how about you, my friend? Are you like I was for so many years, desperately hoping to find a way to go there? Or have you been there, like me, and think every day about going back? I have the perfect solution for all of us women...everyone who has been once and hopes to go again...everyone who has never been but hopes one day to go...and even those who know in their hearts that they will probably never get to go...and here it is: 100 Places in France Every Woman Should Go by Marcia DeSanctis. It is perfect for you to plan, to dream, to scheme about all the best places we women should visit in France. DeSanctis choose all the beautiful places, all the fun places, all the quiet places, all the secret places that we want to go---sometimes places we don't know we want to go. And even if you never get to put these plans into reality (as I suspect will happen to me), so what? You can still read about these hundred wonderful places, and, for a time, you will be there. It's much more than a Best of book; I felt while I was reading it like DeSanctis herself was sitting in the room with me, telling me stories about places she had ventured to in France, sharing secrets she was afraid to tell too many people. Here are some of the wonderful places DeSanctis shares: the lavender route in Provence; make-your-own-perfume in Grasse; the inspiring Marie Curie Museum in Paris; French language immersion classes; a once-in-a-lifetime trip to a 3-star restaurant in France; George Sand's house in Nohant; the beaches of the Battle of Normandy; the lighthouses of Brittany...oh, I could go on and on. You see what I mean, don't you? Yes. Let me give you a minute to take in one more breath of that eucalyptus and pine. Ah. Now go on. Go. Go get this book. Her essays have been widely anthologized and she is the recipient of three Lowell Thomas Awards for excellence in travel journalism, as well as a Solas Award for best travel writing. they are listed in the entry form, as options for additional entries. *Note*: I received a review copy of this book in exchange for an honest review. I did not receive any other compensation, and the views expressed in my review are my own opinions. It all started on Wednesday. Suddenly, I started receiving birthday greetings on Facebook. 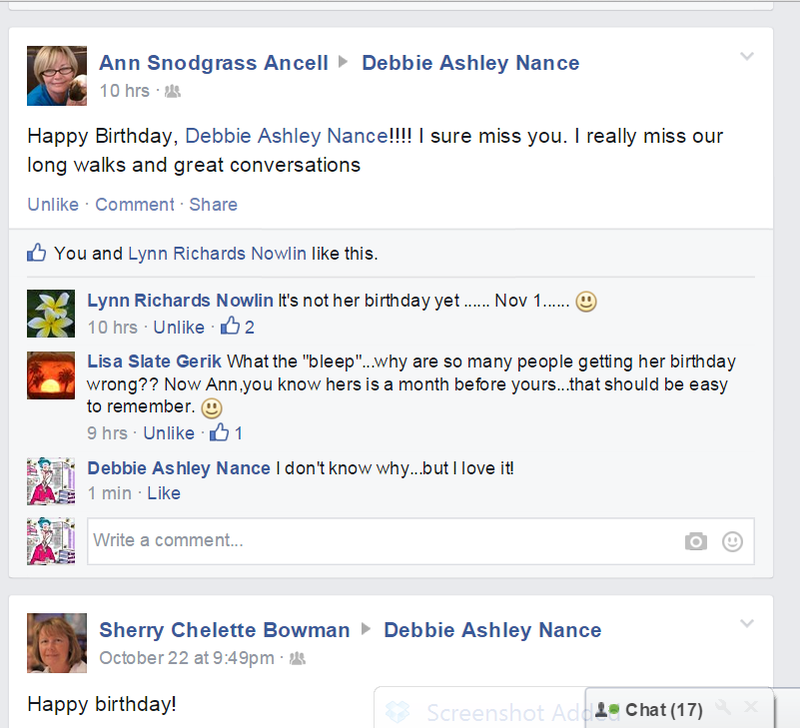 You are probably saying, Uh-huh...everybody gets birthday greetings on Facebook. But here's the thing: My real birthday isn't until next week. November 1st. The day after Halloween. It's downright spooky. Then on Thursday night, a lovely retired librarian and I went to hear Stephen Harrigan, author of Remembering Ben Clayton, at the Museum of Fine Arts in Houston. Our book club read (and loved) Harrigan's latest novel, Remembering Ben Clayton, as part of our regional Gulf Coast Reads program. Harrigan said it took about three years to research and then write this novel. He's written three other novels, including New York Times bestseller and notable book, The Gates of the Alamo. 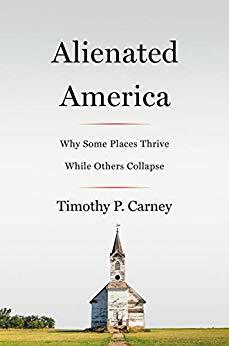 What makes him write about Texas? "I need to get under the hood of of the place where I live," Harrigan says. I left Friday for the Texas Book Festival for more book-ish, pre-birthday events. I'm afraid I will have to save that for another post. 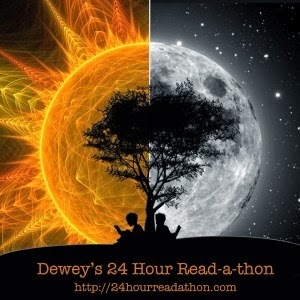 Last weekend was Dewey's 24-Hour Readathon and I read my heart out. For eighteen hours. At midnight, I fell asleep and turned back into a pumpkin. Woke up at four and read for the last couple of hours. Grand total: twenty hours of reading, which makes me quite happy. I finished a lot of books, too. A Lot. 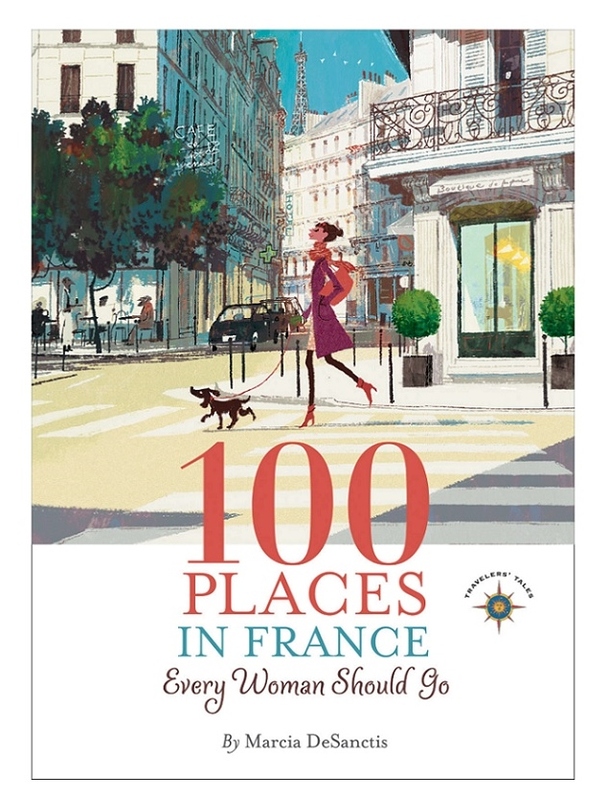 After the readathon, I read A Paris Apartment and I'm almost finished with 100 Places in France Every Woman Should Go. I came home from the Texas Book Festival with a huge stack of books but that, too, will have to wait for another day. To sum up: lots of early birthday greetings, an evening author event in Houston, the 24-hour-readathon, 22 books read, and the Texas Book Festival. Now that's a book-ish pre-birthday week! And just six more days until my book-ish birthday! Which hour was most daunting for you? At midnight, I turned back into a pumpkin and fell asleep. Could you list a few high-interest books that you think could keep a Reader engaged for next year? All of my children's easy readers and early chapter books were perfect reads for the Read-a-thon. Unfortunately, I read them all just before midnight. Do you have any suggestions for how to improve the Read-a-thon next year? It is perfect just as it is. What do you think worked really well in this year’s Read-a-thon? I was a crazy Rogue Cheerleader. 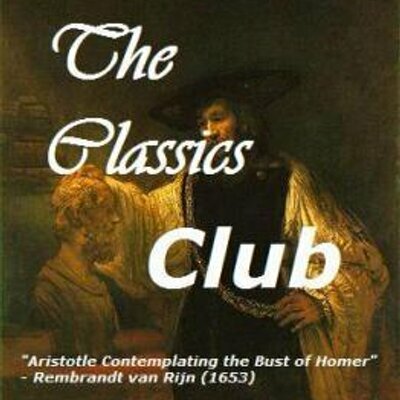 What were the names of the books you read? Robot Burp Head Smartypants! Which book did you enjoy most? Every book was very, very good. If you were a Cheerleader, do you have any advice for next year’s Cheerleaders? Make sure you are officially signed up. And don't wait until the night before to check! "Know that I've tried my very best....If I could reach higher...."
Wouldn't be much of a readathon without this song! Let's get up and stand up...and don't give up the fight. "It's getting harder to stay awake, and my strength is fading fast...." but stayAwake and Alive...You can do it! "There's hope in front of me...." Keep going! 4. Have you had many interruptions? How did you deal with those? Nada. Happily. 5. 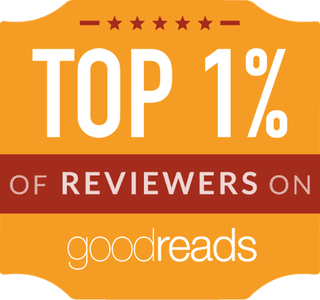 What surprises you most about the Read-a-thon, so far? How much I love focusing on reading and visiting blogs. We are doing alright for the shape we are in. Close to the halfway mark! Yes, keep going and we shall overcome. Currently reading: Marty McGuire Has Too Many Pets! "I keep on rising up...I keep on rising up...every day I'm rising up...." Hang in there. Books finished: Robot Burp Head Smartypants! Currently reading: Eerie Elementary: The School is Alive! More song inspiration, this time from Frank Sinatra. "So any time you're gettin' low, 'stead of lettin' go, just remember that ant....Oops! There goes another rubber tree plant!" 1) What fine part of the world are you reading from today? I'm here in Alvin, Texas in the US of A. 2) Which book in your stack are you most looking forward to? All of the Cybils Easy Reader/Early Chapter Book nominees. 3) Which snack are you most looking forward to? My amazing husband bought me two cartons of Blue Bell Homemade Vanilla Ice Cream and a 50 pack of M&Ms for the readathon. Wow! 4) Tell us a little something about yourself! I'm a primary school librarian, a reader, and a blogger. I love to read happiness books, travel stories, literary fiction and nonfiction, poetry, and children's books. 5) If you participated in the last read-a-thon, what’s one thing you’ll do different today? If this is your first read-a-thon, what are you most looking forward to? The last two times I hosted the readathon for a few hours (very fun!) 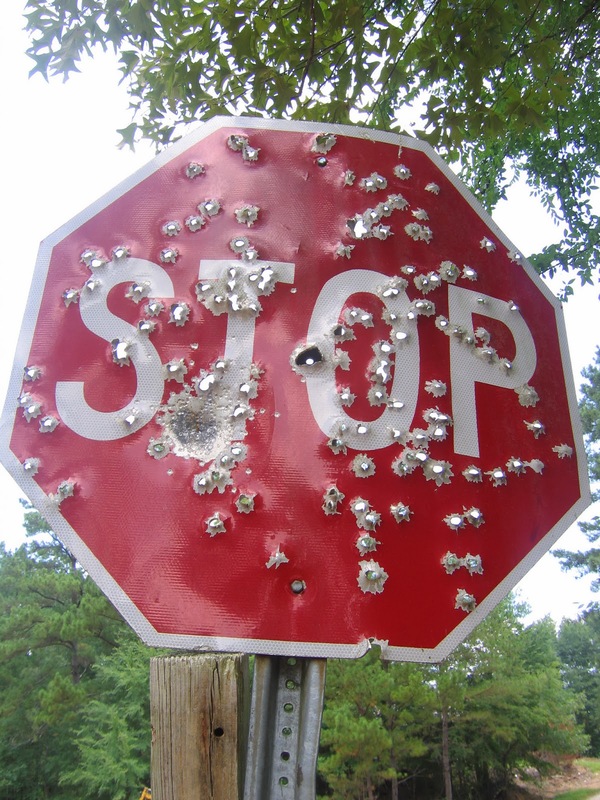 This time I'm hoping to stop in all the blogs on the list and say hello (700+) and read. I'm going to sing along with a Song About Perseverance each hour in the hopes I will make it all 24 hours. Denise from Flamingo House Happenings says, "Dewey's is better than (insert your favorite holiday here)." And I agree. 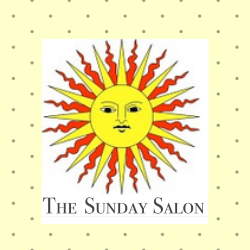 I organize my life around the twice-yearly Dewey's 24-Hour Readathon. It is the first blogging event I participated in as a blogger (in June of 2008!) and it is still my favorite. I've joined in fourteen times and every time it's been a ride. I've tried reading children's Christmas books and nonfiction Cybils nominees and books in French and 1001 Children's Books You Must Read. Twice I've had to break away to attend a bridal shower and one time I had to go to a library conference during the 'Thon. Once a severe cold snap knocked out our Internet connection and I had to seek out Starbucks in order to post. I've hosted twice (very fun), ran a mini-challenge once, and offered prizes many times, and this time I plan to read and cheer others on. In all these times, I've only managed to make it through all twenty-four hours one time. Maybe this year will be my second time. To inspire me to read all twenty-four hours this year, I'm planning to listen each hour to a Song of Perseverance. I'm hoping to sing my way through the Readathon, if you will. (1) Read the 19 Cybils I've managed to accumulate so far. (3) Make an infographic for my final blog post. Let's get this show on the road! Let's get to what we are here for...Reading!